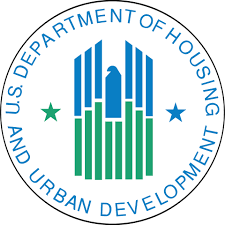 Our mission is to keep all of our service providers up to date on all HUD policy and best practices for homeless service providers or those in a support service role. This page will serve as an index of the trainings that we either provide via webinar, or those provided by our affiliations such as HUD, and Institute for Community Alliance (ICA). This is the same type of institute that was held in 2017. As you will see the email below, we are not sure how many people will be allowed to attend per CoC or the location of the trainings. Last year, the Balance of State CoC was able to contribute funds for 3 people to attend. We anticipate the same assistance will be available this year. We would be looking for 2 people to attend the practice track and 1 person to attend the systems track. These people would need to be from different agencies, agree to take tons of notes, and are comfortable and willing to present live or by go-to webinar. If you are interested, please submit complete the RRH Institute Interest form and return it to wiboscoc@gmail.com by Friday, July 13th. If you work in or with an ESG, COC, or VA funded Rapid Re-housing program, it is strongly encourage you to watch.